The MH Authors widget has been developed to display a list of authors on your website. 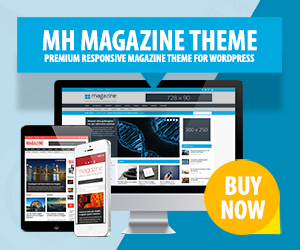 This nice widget is included in our popular MH Magazine WordPress theme. By using the MH Authors widget you can display an appealing list of authors who are regularly contributing to your online magazine, online newspaper or blog by publishing articles for certain categories, resorts or columns. In this support article including video tutorial you’ll learn how to use the MH Authors widget and how to manage the included options to display your team of authors accordingly. The MH Authors widget offers some nice and useful options to specify the order of authors dependent on author name or post count, display the author avatar in different sizes and many more. The MH Authors widget is most suitable for 1/3 width widget areas and can therefore be placed into particular widget areas on your front page, in the footer or else. As an alternative you can place the widget into your sidebar on posts, pages and (category) archives. Using the MH Authors widget, your audience can see an overview of your authors at one glance and access the author archives with associated articles by clicking on one specific author. To determine which particular authors you would like to show in the widget, you can make use of the options panel of the MH Authors widget. To be more specific, you can for example select authors by user roles to only show those authors who have certain roles or privileges on your website. In addition you can reward the authors who write many posts on your website by sorting the authors within the widget based on the number of published posts. Regarding the profile images / user avatars, by default WordPress makes use of the free service Gravatar, so in case your authors have uploaded their avatars to Gravatar, these user avatars will be displayed next to the author names. Within the MH Authors widget you can set the preferred size for the author avatars and also hide the avatars and only display the author names accordingly. The MH Authors widget allows you to display your authors nicely by making use of the widget options to specify the content for the widget, e.g. enter widget title or display large, small or no author avatar images. You can have a look at the video tutorial to see some examples of the MH Authors widget in action. Feel free to replicate the widget placements or place the MH Authors widget in any of the available widget areas as you like.